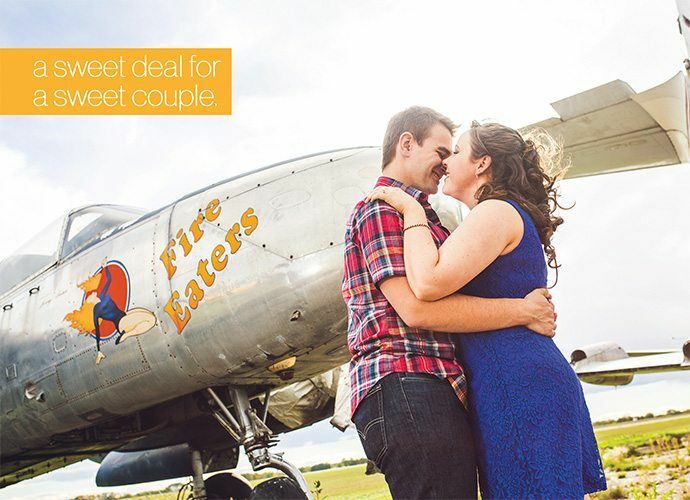 Get A Free Engagement Photo Session! You don’t want to be stressed out for your photos. You don’t want boring photos. Neither does Anna. It’s not always easy being in front of a camera. Anna gets it. So, we’ve got a sweet deal for you! When you book Dance! Shout! 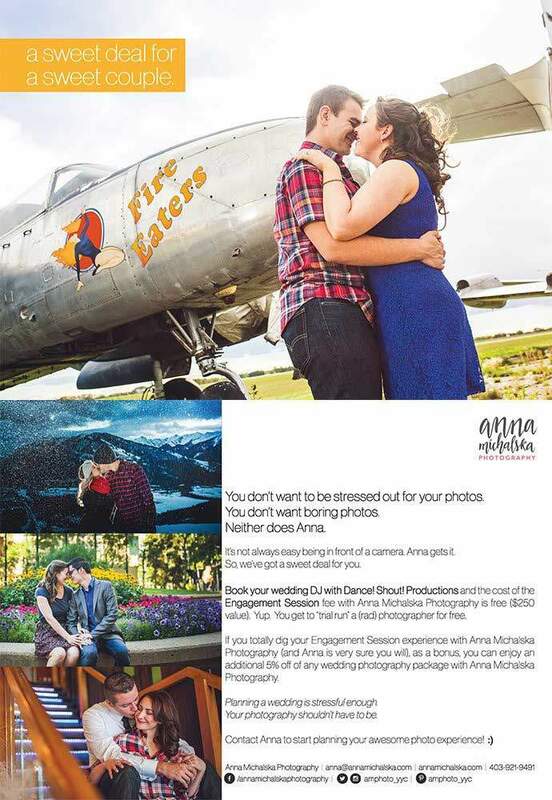 as your wedding DJ we will set you up with an absolutely Free Engagement Photo Session with one of our favorite photographers – Anna Michalska Photography. That is a $250 value, and you get to trial run a totally rad photographer for free! As an added bonus to this already awesome deal, if you love love love your engagement photos (and I know you will) Anna will extend an additional 5% off any of her wedding packages! Planning a wedding is stressful enough. Your photography shouldn’t have to be. Check out Anna and her photography at www.annamichalska.com!